When you are a self-employed or voluntary female SS member, it seems like a difficult task to process and claim your maternity benefit compared to an employed female member who often has an HR officer to process it for them. 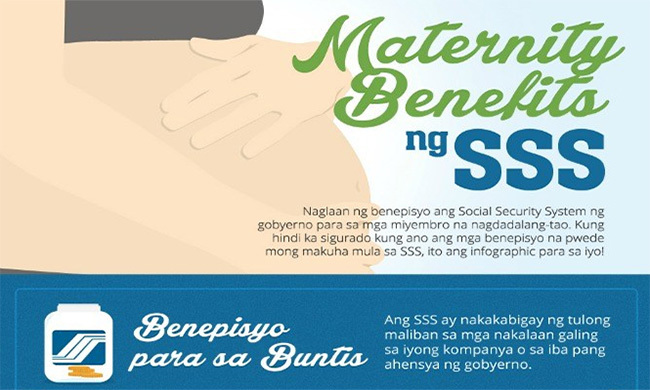 But to make it more convenient for voluntary and self-employed female members to notify SSS about their pregnancy and qualify for their maternity benefit, the Social Security System (SSS) has launced its text messaging facility for the said purpose. According to SSS President and Chief Executive Emmanuel Dooc, with the Text-SSS facility, individually-paying members have another option of notifying SSS about their pregnancy aside from directly going to any SSS branch to submit maternity notifications. “With just one text away, expecting mothers can now inform SSS of their pregnancy. It is more convenient for them since they no longer need to go to SSS personally to comply with the notification requirement,” said Dooc. Members will not be initially required to submit proof of pregnancy unlike when they submit directly to branches, but it will be later on required when the member applies for her maternity reimbursement. Dooc reiterated that the said feature (maternity notification via Text-SSS) is still exclusive for individually paying members at the moment, thus employed members must still notify SSS through their employers. Send the message to 2600 for subscribers of all networks. Each text will cost Php2.50 for Globe and Touch Mobile, and Smart Subscribers. Meanwhile, Sun Cellular subscribers shall be charged Php2. Once successfully received by SSS, the member shall receive a confirmation text about the maternity notification. 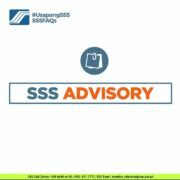 Members can also use the My.SSS web portal to notify SSS about their pregnancy. She will be required to provide information such as expected date of delivery, number of delivery, and date of last delivery or miscarriage. 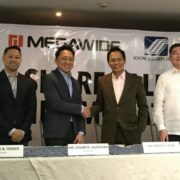 “Text-SSS and online facilities are our answer to the growing need of members for a more convenient and accessible means of transacting with SSS for their maternity claims. Rest assured that SSS will also devise more friendly means for other benefits,” said Dooc.